When a marriage breaks down it’s not just the couple whose lives are thrown into turmoil. More often than not, it’s the children who are caught in the middle that suffer the most. Given below are a few guidelines that may help making this very difficult transition period a little easier on the children. Communicate with your children throughout the process. Emphasize that it is not their fault you are divorced. Encourage emotional expression in your children. Don’t neglect daily routines and discipline. Monitor your children’s performance and activities, at school and home. Encourage frequent and predictable contact with both the non-custodial parent and extended family. Don’t overcompensate for the divorce. 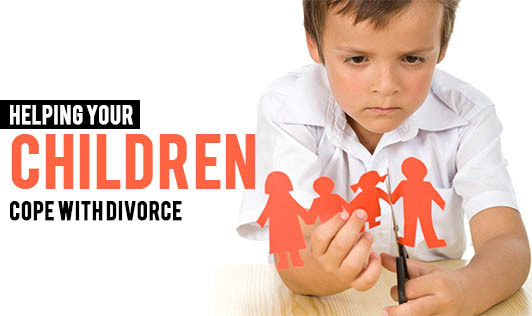 Don’t criticize or fight with your ex-spouse in front of your kids. Accept your children’s love for the other parent. Seek assistance for your family or children if necessary. It is going to be a stressful time for all around, so do your best to support your children, they need it the most. Speak with a counselor for additional support to make the transition easier.